Our Smokehouse supplies a range of locally sourced products including smoked meats from across the region. Most of our meats are hot smoked, meaning they are ready to slice and eat as cold cuts or warmed up quickly to go create wonderful starters, main courses or simple to make party foods. 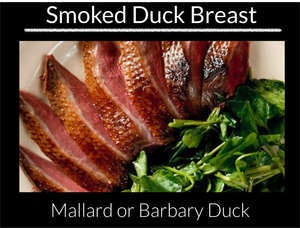 We currently offer Smoked Chicken breast and Smoked Barbary Duck breast but are constantly working with local suppliers to source new products to add to the range. Please be advised that some products are available frozen.